Elegant sachet with 80 grams of exquisite Pata Negra sausage, knife-sliced by professional jamón artisans and with the characteristic flavour of the Jabugo area. 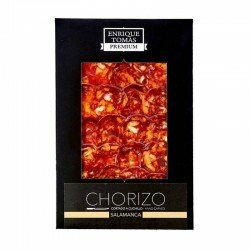 This fantastic chorizo is made from the highest quality lean pork parts, selected exclusively for the production of this product. The secret of its quality lies in the meat, which is then seasoned to give it its final touch of flavour, with paprika and spice, according to the traditional recipe. Just like the Jamón Bellota 100% Ibérico, the Pata Negra sausages are also a delicacy like this 100% cured Iberian acorn-fed chorizo made in Huelva, enjoy it! Within the range of the famous sausages of our gastronomy, chorizo undoubtedly occupies a very special place. To sum up, chorizo is made with the highest quality lean pork parts, seasonings and different spice, and just like lomo or jamón, chorizo needs time, although this case the dry curing period is much shorter. The characteristic red colour of the chorizo is due to the paprika, an essential ingredient in the preparation of the coveted sausage. 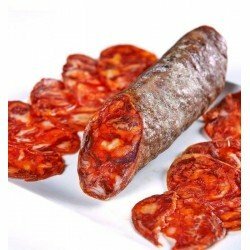 In fact, this characteristic is what makes the Spanish chorizo a standard and a unique product in the world's gastronomy, the taste and color make it different from other sausages and chorizos from other places. In Enrique Tomás you will find a high-quality product with pieces and slices of Chorizo Ibérico Bellota, made with acorn-fed Iberian pork, which is used to make the exquisite Pata Negra hams. 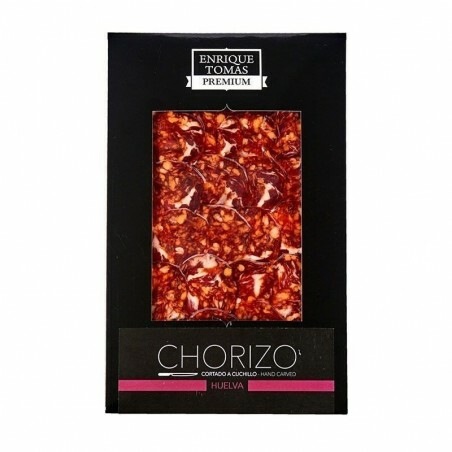 As well as Iberian Chorizo, a product obtained from pigs of the Iberian breed but whose diet has not included acorns. Those pigs that are destined to give Iberian acorn-fed hams make the final part of their fattening during the Montanera: From November onwards, when it gets cold in the mountains and the acorns fall naturally because they are ripe, the pigs who want to finish fattening naturally are left free on the farm. For a maximum of 4 months, the pigs will eat all the acorns they can find, red fruits and lots of grass. They will walk a lot and drink a lot of water. 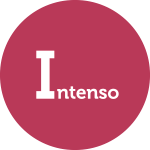 When they have increased by 50% the weight with which they entered the pastureland, they will be ready to provide the wonderful Jamón Ibérico de Bellota. The Jamón of Huelva, world famous as Jamón de Jabugo, is the easiest to recognize of the four origins. The flavour of the Iberian products from the Huelva area is forceful, emphatic and simply amazing. Buying Jamón de Jabugo is synonymous with intensity, its smoky nuances make this a tasty and unforgettable jamón, ideal to delight the most demanding palates. Ingredients The chorizo is one of the standard sausages of the Spanish gastronomic culture, made from the finest quality lean pork parts and seasoned with paprika and spices, which gives it its characteristic colour and flavour. After a short curing period we can enjoy a unique sausage, essential in our kitchen.